Fine needle aspiration (FNA) biopsy: The removal of tissue or fluid using a thin needle. An FNA is the most common type of biopsy used for salivary gland cancer. Surgery: If cancer cannot be diagnosed from the sample of tissue removed during an FNA biopsy or an incisional biopsy, the mass may be removed and checked for signs of cancer. In stage I, the tumor is in the salivary gland only and is 2 centimeters or smaller. The tumor is not larger than 4 centimeters and has spread to a single lymph node on the same side as the tumor and the lymph node is 3 centimeters or smaller. The tumor is larger than 4 centimeters and/or has spread to soft tissue around the affected gland. Cancer may have spread to a single lymph node on the same side as the tumor and the lymph node is 3 centimeters or smaller. Cancer has spread to the skin, jawbone, ear canal, and/or facial nerve, and may have spread to one or more lymph nodes on either or both sides of the body. The lymph nodes are not larger than 6 centimeters. Cancer has spread to the base of the skull and/or the carotid artery, and may have spread to one or more lymph nodes of any size on either or both sides of the body. 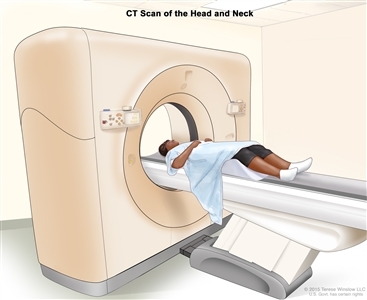 The tumor may be any size and may have spread to soft tissue around the affected gland, to the skin, jawbone, ear canal, facial nerve, base of the skull, or carotid artery, or to one or more lymph nodes on either or both sides of the body. Cancer has spread to distant parts of the body. Salivary gland cancers are also grouped by grade. The grade of a tumor tells how fast the cancer cells are growing, based on how the cells look under a microscope. Low-grade cancers grow more slowly than high-grade cancers. Minor salivary gland cancers are staged according to where they were first found in the body. 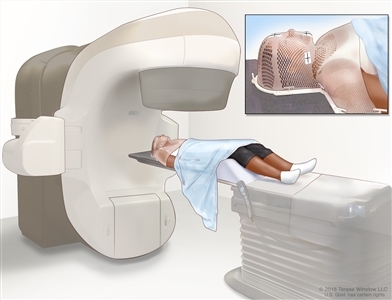 Even if the doctor removes all the cancer that can be seen at the time of the surgery, some patients may be given radiation therapy after surgery to kill any cancer cells that are left. Treatment given after surgery, to lower the risk that the cancer will come back, is called adjuvant therapy. Check the list of NCI-supported cancer clinical trials that are now accepting patients with stage I salivary gland cancer. For more specific results, refine the search by using other search features, such as the location of the trial, the type of treatment, or the name of the drug. Talk with your doctor about clinical trials that may be right for you. General information about clinical trials is available from the NCI website. Check the list of NCI-supported cancer clinical trials that are now accepting patients with stage II salivary gland cancer. For more specific results, refine the search by using other search features, such as the location of the trial, the type of treatment, or the name of the drug. Talk with your doctor about clinical trials that may be right for you. General information about clinical trials is available from the NCI website. Check the list of NCI-supported cancer clinical trials that are now accepting patients with stage III salivary gland cancer. For more specific results, refine the search by using other search features, such as the location of the trial, the type of treatment, or the name of the drug. Talk with your doctor about clinical trials that may be right for you. General information about clinical trials is available from the NCI website. 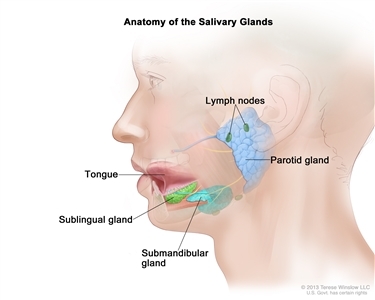 Check the list of NCI-supported cancer clinical trials that are now accepting patients with stage IV salivary gland cancer. For more specific results, refine the search by using other search features, such as the location of the trial, the type of treatment, or the name of the drug. Talk with your doctor about clinical trials that may be right for you. General information about clinical trials is available from the NCI website. Check the list of NCI-supported cancer clinical trials that are now accepting patients with recurrent salivary gland cancer. For more specific results, refine the search by using other search features, such as the location of the trial, the type of treatment, or the name of the drug. Talk with your doctor about clinical trials that may be right for you. General information about clinical trials is available from the NCI website. This PDQ cancer information summary has current information about the treatment of salivary gland cancer. It is meant to inform and help patients, families, and caregivers. It does not give formal guidelines or recommendations for making decisions about health care.